Motherhood fell early upon the shoulders of Boyle Heights native, neighborhood playwright and heavy construction vehicle operator Patricia Zamorano. Arriving unexpectedly during her adolescence, it was not something she asked for. It was not a choice she made, nor was it the result of an unplanned teenage pregnancy. According to the 30-something former homegirl turned barrio wordslinger and co-producer—alongside fellow playwright, director and youth advocate Jesse Bliss—of a stage play titled Matriarch, it was the last thing she expected. A flannel-shirted tomboy, nascent drug-runner, and occasional inmate at Eastlake Juvenile Hall raised in the Pico Aliso housing projects, Zamorano was little more than a child herself when her mother suffered near fatal burn injuries in a freak fire that ripped through the single-family dwelling where she and her younger siblings lived. “At a young age, I had to become the head of our household and a caregiver to my mom,” says Zamorano, who was even so, already a survivor of brutal violence at the hands of an older brother who believed toughening her up was somehow in her best interest. When she was suddenly tapped to assume an untimely role as mother and father combined, as well as that if the principal provider for two younger children, words such as “matriarchy” and “misogyny” had not yet entered her vocabulary. Nevertheless, in an instant she was obliged to embody the former while—like many women in marginalized and impoverished urban communities—being no stranger to the painful ravages wrought by the latter, no matter that term may have eluded her. Thrust into premature adulthood as a result of the tragic inferno, Zamorano explains, her life took a sharp turn as the burden of her new responsibilities became clear. She understood immediately that the pitfalls which often accompany misguided youthful pursuits, compounded by pressure to join the local gang, were no longer options. Charged with feeding and clothing her siblings, she was also tasked with preparing them each morning for school. In the process, she began taking her own education more seriously and became determined to avoid a return to lock-down at juvie. Rooted in a desire to empower women, says Bliss, the current iteration of Matriarch is an updated and expanded take on the version of the play which she and Zamorano developed jointly for a 2016 Writ Large Press 90x90 event held at Traxx, a classic lounge inside LA’s historic Union Station. The play, comprised of original monologues all written by women, was presented as a staged reading to a standing room-only crowd. Founder of the The Roots & Wings Project, which she describes as an interdisciplinary arts incubator, Bliss is a veteran stage performer and writer who has had work professionally produced in and around Boyle Heights, across the greater Los Angeles area and internationally. She has also spent considerable time working as a creative writing instructor within L.A. juvenile detention facilities city-wide, for well over a decade. 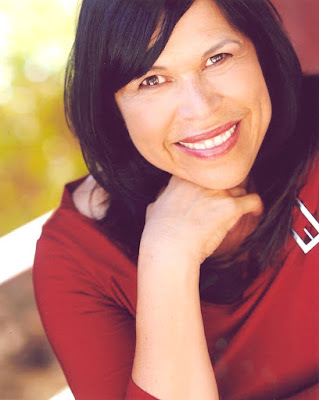 Zamorano began writing for the stage after several classes with acclaimed playwright Josefina Lopez, founder of Casa 0101 Theater, where Zamorano’s work has been consistently staged since 2007. Her oeuvre now includes two full-length plays and several short plays presented as part of the ongoing Chicanas, Cholas y Chisme collaborative theater series. Encouraged by the positive response to Matriarch during the one-night-only Traxx reading, Bliss and Zamorano agreed to explore possibilities for a reprisal of their stint as co-producers and participating playwrights with a fully staged production of Matriarch in a formal theater setting. One year after debuting Matriarch in a bar, they are thrilled to bring the piece to a venerable Boyle Heights black box theater with a cast that currently features them both and and is rounded out by an all-star line-up that includes Sigrid Gilmer, Kristina Leach, Roger Mason, Ramona Pilar and legendary L.A. theater luminary Diane Rodríguez.